The little â€œrabbitâ€ conveys love. 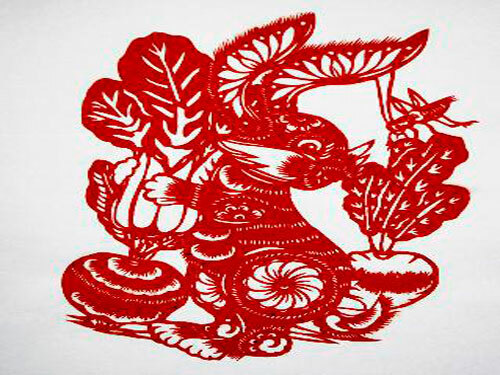 This is a â€œrabbitâ€ paper-cut work created by Peng Peng on December 16th. Peng Tao, a fine arts teacher at the Qishen Sunshine School in Huaibei City, Anhui Province, spent more than a month and created more than 500 pieces of paper-cut works for â€œQiutuâ€. These lively and lovely paper-cut works are deeply loved by the students with hearing impaired and intellectual disabilities who are studying here. Peng Peng will share paper-cutting with them to welcome the coming of the New Year of the Rabbit.